We are heading into winter here. Days are getting short and rain and cold winds reign the streets of Amsterdam. Beer lovers don’t need to be too upset though, as they have a good choice of local breweries that are worth a visit. 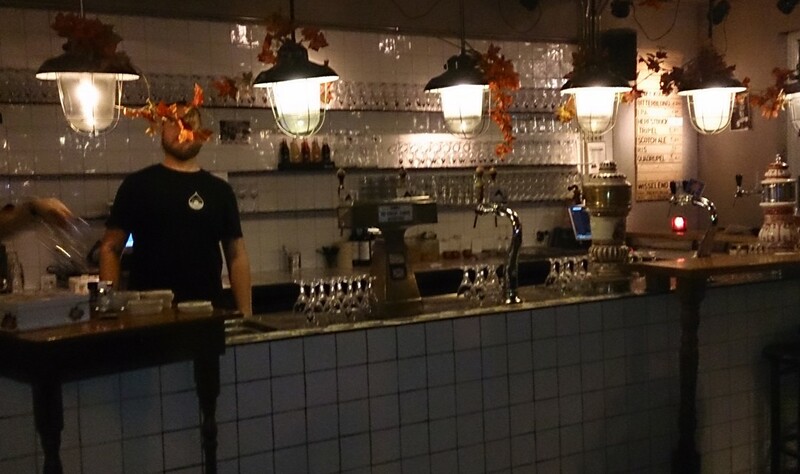 Annette suggested to meet at Brouwerij De Prael (Brewery The Pageantry), situated at the ancient centre of town, between the Old Church, Central Station and Damrak. For our after office hours meeting, Annette orders a Scotch Ale made by De Prael. 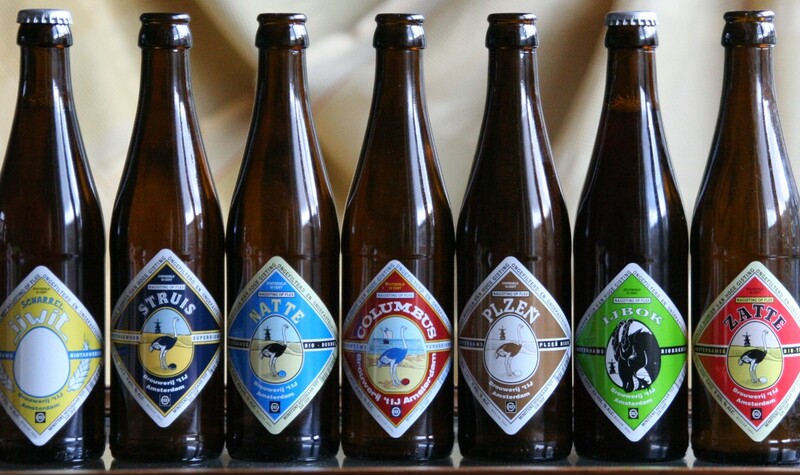 She is curious about the a-typical use of smoked malt and weizenbier-yeast. We’re sitting in two comfortable retro armchairs next to a brown leather couch. To our left and slightly below us, we can see the bar, covered in old white tiles, and the Dutch “klinkers” – old fashioned, brown bricks – that make the floor. To our right and beyond the glass window, we can see a huge copper boiler that’s busy brewing beer (or at least we like to think so). It’s very lively here in the evenings. At the other side of the spacious bar a baby is wailing, while on the floor below us, a group of co-workers sit around a picnic table and cheer. 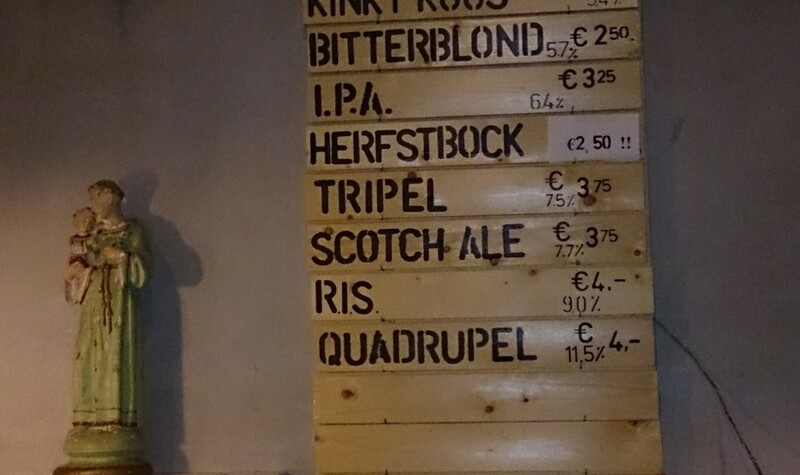 De Prael uses 100% organic malt and hops, though to our surprise the “bitterballen” (deep fried ragout balls) on the menu are not organic. The waiters working this evening – all wearing black shirts with a white drop on the right breast, the logo of De Prael – are all big, sturdy men. Most of them have a background of psychological problems and received a new chance at De Prael. The brewery has a “social employment policy” and employs people who otherwise have difficulty getting a job. Through this approach, De Prael wants to contribute to society and give people a new opportunity. 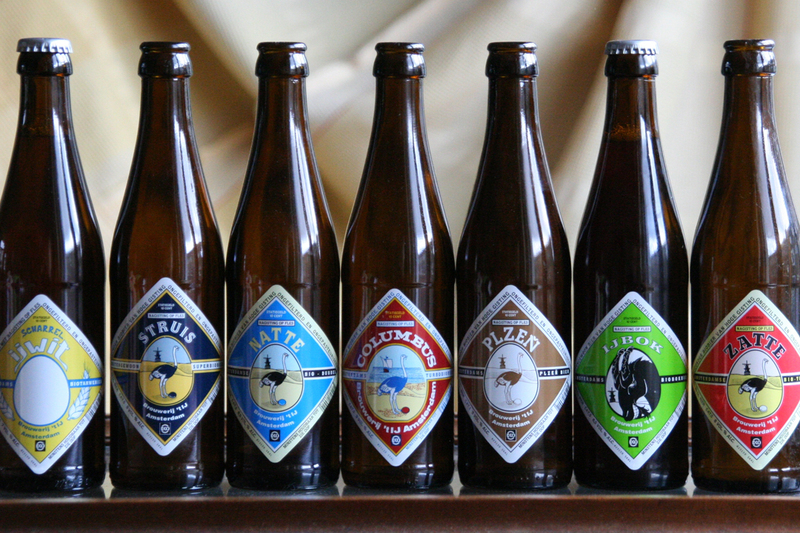 The philosophy of this local brewery is admirable and a good reason by itself, to pay De Prael a visit. The reason why Annette has suggested to meet here however is because of the quality of its beers and the cafe’s great beer list. Beer has become fashionable in the Netherlands since. 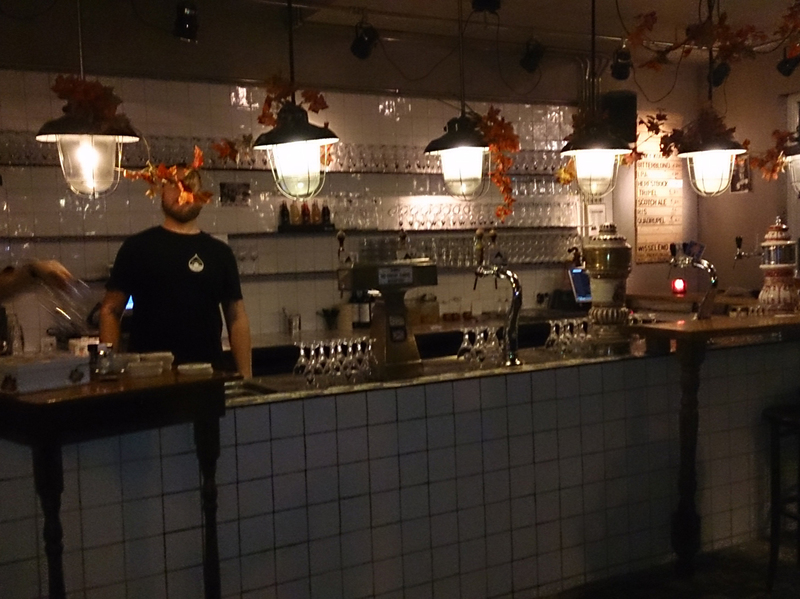 Amsterdam alone counts for four or five of the bigger local microbreweries and a fast growing number of tasting rooms and bars. 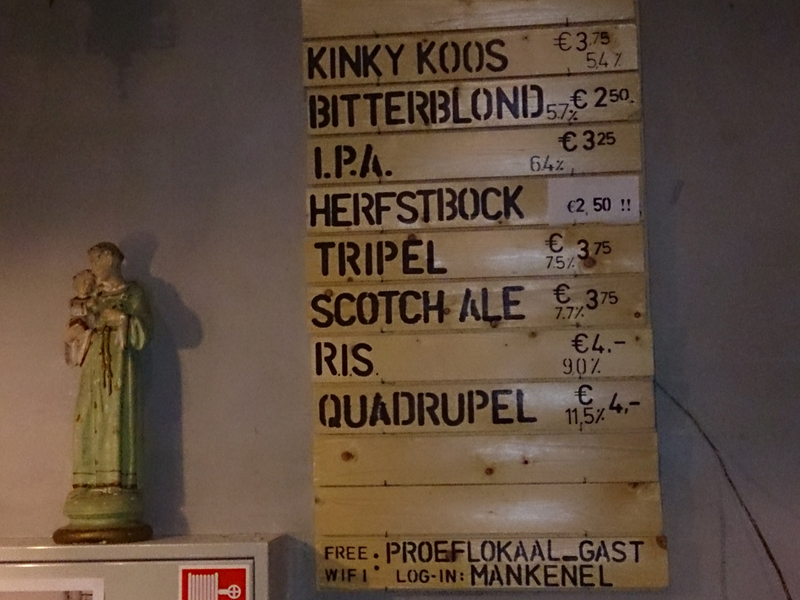 Their beer is mostly meant for direct use (see the info box for the various local Amsterdam breweries). With the outside weather, the historical location, the conscious beer tender and the variety in tastes – you really have no excuse but to go for a drink. I believe in engaged journalism. I believe in the power of a well-written story to connect lives and worlds. And I believe it is my job as a writer to make you, reader, hooked on what’s happening in the world. I use Storytelling to achieve that.